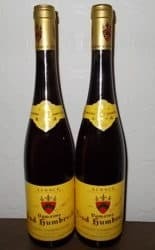 Two 75cl bottles bought on release and intially stored in an underground cellar.Within the last 21 years they have been transferred to a purpose-built,temperature-controlled cellar,Levels are very top shoulder and top shoulder (as in photograph).Both labels have small tears and are slightly age stained. No Reserve set on this auction lot. Two very suitable gifts for a 40th Anniversary or Birthday (even Christmas) celebration! 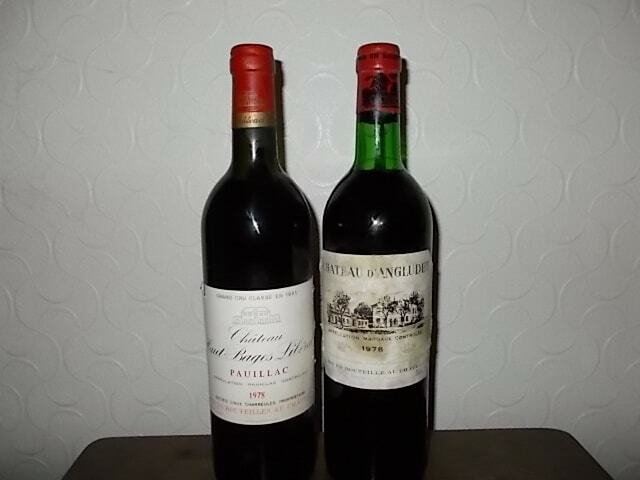 One bottle of 1978 Chateau D’Angludet (Margaux) Cru Bourgeois Exceptionnel. One bottle of 1978 Chateau Haut Bages-Liberal (Pauillac) 5eme Grand Cru Classe. 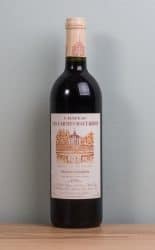 1978 Bordeaux wine earned the title of the miracle vintage from the famous wine writer and personality Harry Waugh. The vintage was named the miracle because throughout the entire growing season, winemakers all over Bordeaux were expecting the worse. 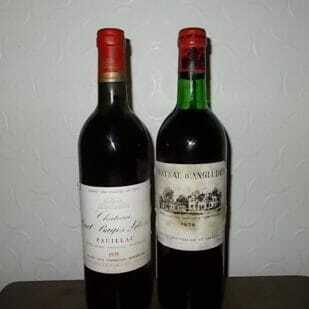 Yet, thanks to a perfect September, the vintage produced several fine examples of 1978 Bordeaux wine. 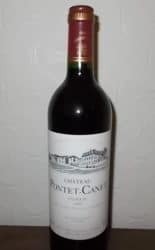 The 1978 Bordeaux harvest began the first week of October. 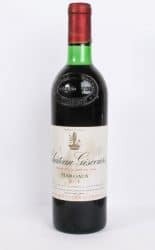 “Now there is an additional dimension to the wines,a complexity and depth of flavour which was missing before.I find this consistently present,at least since 1978;this is a wine of great class,complex,full,and stylish and,as usual,preferable to a good 1979”. 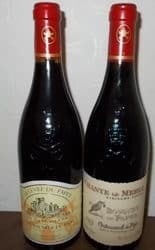 Having tasted a bottle of 1978 D’Angludet (without making notes) about 5 years ago,I agree with Peppercorn’s notes above as I remember it was a delicious bottle of claret. 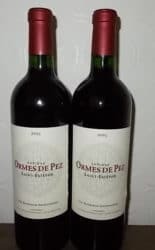 “Mature appearance, medium depth; soft, ripe and warm nose, cedar and spices, mulberries and blackcurrants, vanilla, dark pitch; supple and full attack, pleasant weight, fine balance, well-integrated acidity, adequate stuffing and tannic grip; good length”. Xavier Auerbach. (Cellartracker 14/8/1993). 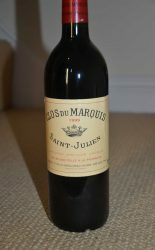 He confirmed this tasting note two years later – “Really very good”.